The above statements have not been evaluated by the Food and Drug Administration. These statements are not intended to diagnose, treat, cure, or prevent any disease. Charles Mesko, Doctor's Relief, LLC, and Fountain of Youth Technologies, Inc., do not offer medical advice. No actual or implied written or oral statements from Charles Mesko, Doctor's Relief, LLC, and Fountain of Youth Technologies, Inc., and/or any emails, websites, officers, employees, brokers, representatives, product distributors, product resellers, retailers or affiliated companies, are intended to offer any form of medical advice. Please refer to a qualified licensed medical practitioner for medical advice. These statements are intended for educational purposes only. Return Policy: This product is not eligible for refunds or return. Suggested Use For adults, as a dietary supplement, take 1 tablet, 3 times per day between meals. Consult with your qualified health care provider prior to taking more than the recommended amount. 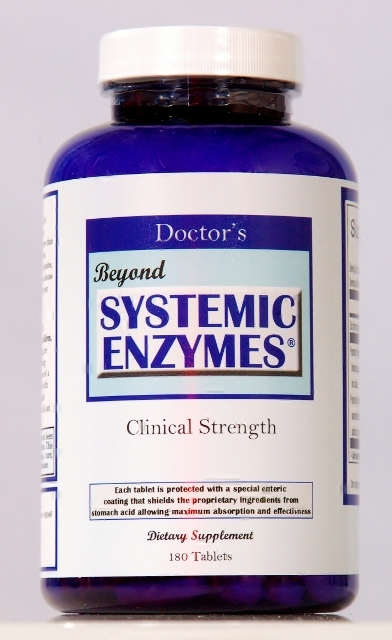 Do not confuse this product with other systemic enzyme products that require 20 to 30 capsules, caplets, or tablets per day. As a reminder, always discuss the supplements and medication you take with your healthcare provider. Proprietary integrated broad spectrum fomulation of: Superoxide Dismutase (SOD), Rutin, Spirulina, L-Cysteine, Zinc Sulfate 5mg. Other Ingredients: Microcrystalline, dicalcium phosphate, and magnesium stearate.